We have been staying in Le Trappeur for many years in a row for our ski holiday and always appreciate it so much! The place is very conveniently located in between slopes, is easily accesible, versatile and functional. The beds are comfortable, and the hammam is fabulous! Highly recommended! "Our 5-strong family stayed in Le Trappeur for the second ski holiday in a row, and enjoyed every moment. The chalet was perfectly clean when we arrived, and the owner had added a few games and movies for us to use, which was really nice as we normally ski the whole day, have lunch outside and return to the chalet to cook something easy and to relax before an early night. Needless to say, that if we weren''t happy about the chalet, we would not have rented it for the second time. The location of the chalet is excellent, and it''s almost ski-in-ski-out as you only have to walk for less than 100 meters to be on the slopes. We bought plenty of food on our way up, so we didn''t have to buy much more while in Courchevel. The owner and the caretaker are really friendly and always helpful, and we can warmly recommend this property to anyone looking for a fantastic ski holiday in one, if not THE, best resorts in the world." "We really enjoyed our stay in the chalet, and already gave nice feedback to the owner directly with some suggestions as for what to add to make quests even more comfortable. 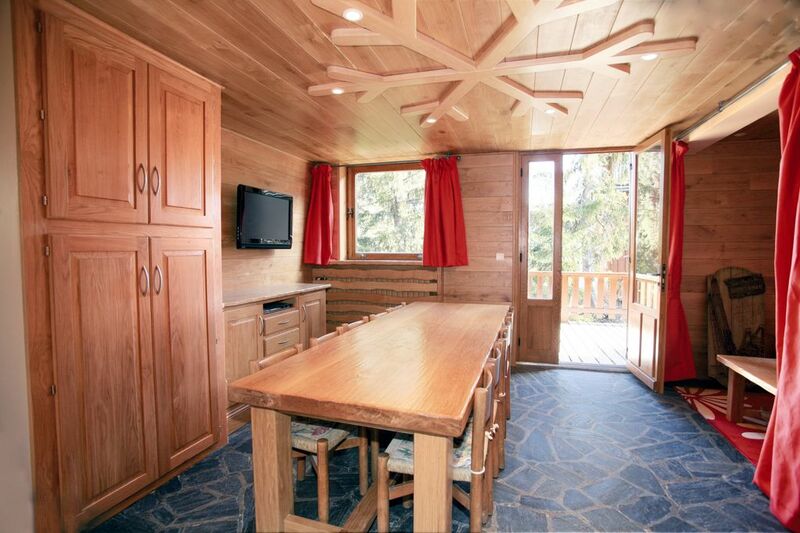 A very nice chalet in excellent location!" Très Bons séjour dans cet appartement. Bref que du haut de gamme qui fait profiter pleinement du ski sans se soucier de l'inconfort. * Le parking le Samedi difficile entre les gens qui partent et ceux qui arrivent mais dès le dimanche des places disponibles ... Mais là vous n'y pouvez rien.